There are times as an iPhone owner when you just like to be able to see a quick summary of an event that has happened on your device. 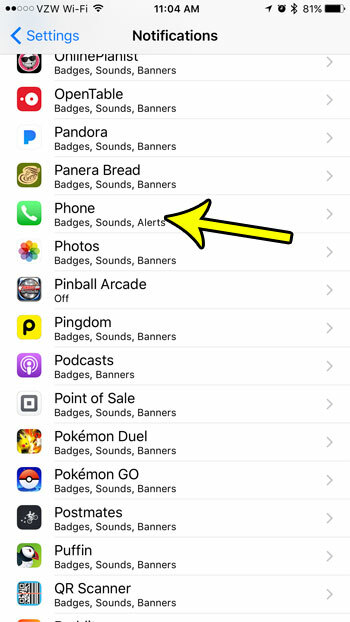 For situations like a phone call that you missed, being able to simply turn on the lock screen and see that you have a missed call is often sufficient enough until you are in a situation where you are able to comfortably return the call. 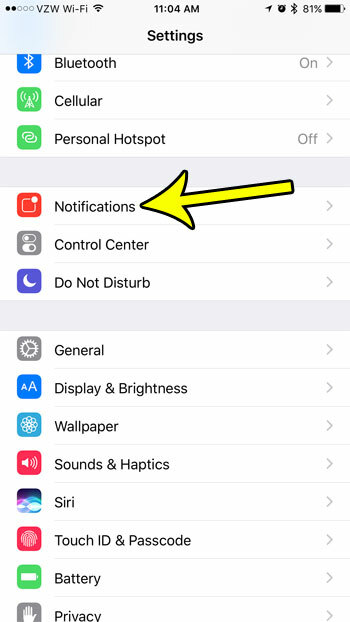 So if you would like to be able to check missed calls in this manner, but those calls aren’t appearing on your lock screen, then you can follow our steps below to achieve that type of notification. The steps in this article were performed on an iPhone 7 Plus in iOS 10.3.2. 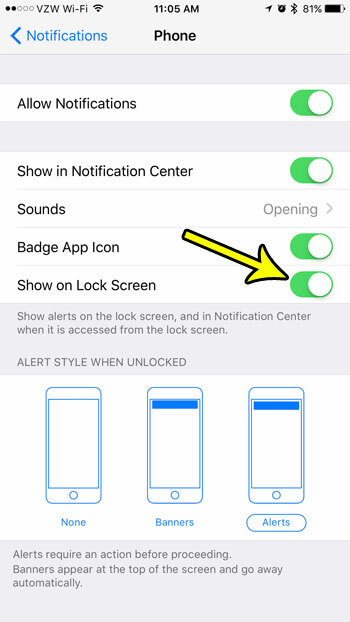 The result of completing these steps will be that your iPhone will display alerts on your lock screen to let you know that you missed a call. Step 3: Scroll down and choose the Phone option. Step 4: Tap the button to the right of Show on Lock Screen. 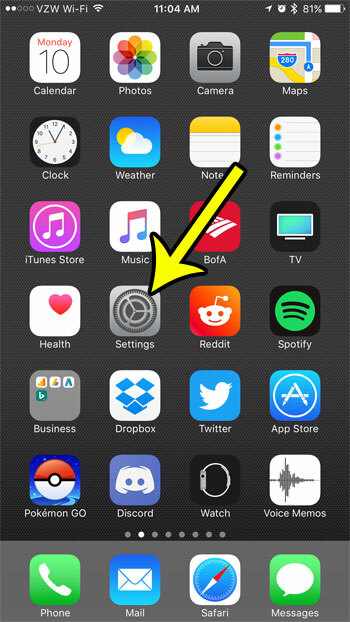 The option is turned on when there is green shading around the button, as there is in the picture below. You can also check for missed calls by opening the Phone app, selecting the Recent tab at the bottom of the screen, then tapping the Missed tab at the top of the screen. Are a lot of your missed calls coming from the same spammers and telemarketers whose calls you keep declining? Use the iPhone’s call blocking feature to prevent your phone from ringing when a number calls you again in the future.